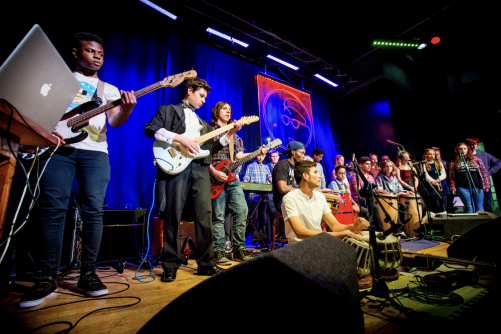 Taking place at Band on the Wall over four Saturdays from November 24th, the Guide to the World of Music taster sessions will help young people learn how to sing, play and discover new music. Come and learn how to play reggae music! Anything from Bob Marley to Maxi Priest – get playing music after just one session. Instruments provided or bring your own. Led by Theo Gad of Edward II. Learn some of the folk repertoire written in Manchester and beyond. Led by Broadside Balladress, Jennifer Reid. For all ages with some experience as instrumentalists, come and develop your repertoire!